Roland Soong: Bringing China to the West Rebecca MacKinnon, RConversation, July 22, 2006. 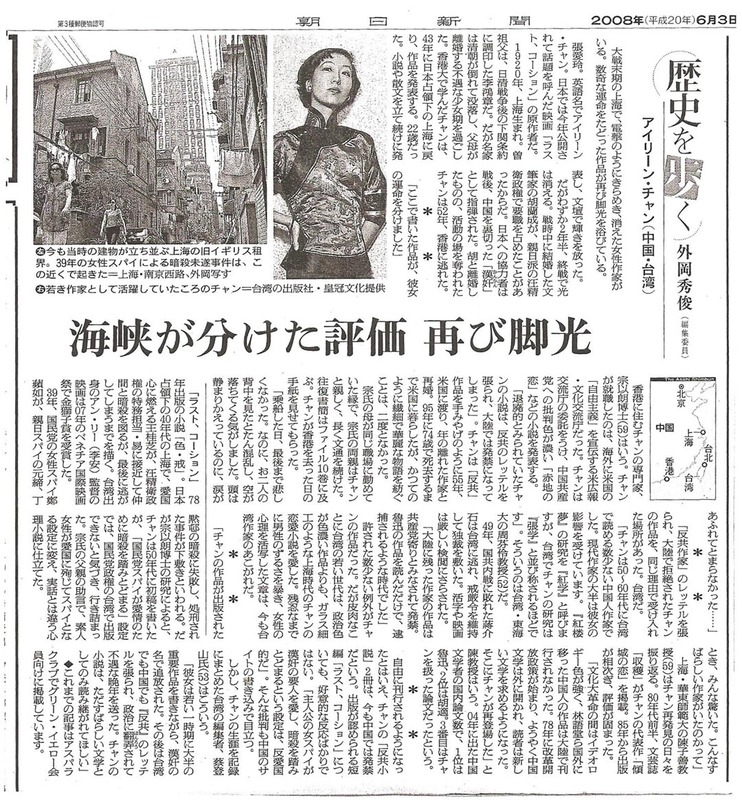 張愛玲色戒心結 馬靄媛,亞洲週刊 2007年9月13日, Volume 23, Issue 37, p. 28-33. 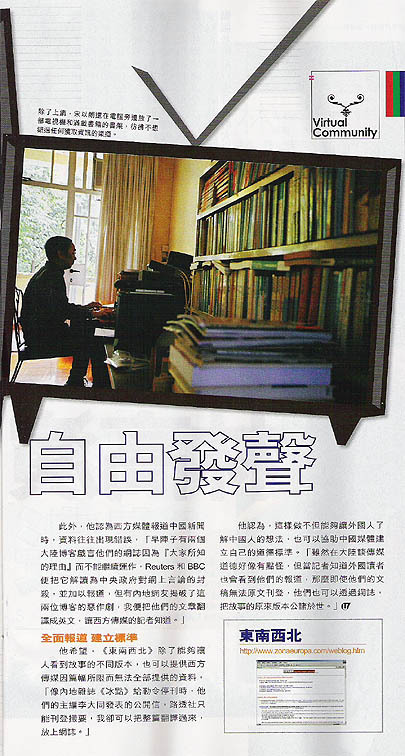 藏住张爱玲最后的真相：宋以朗 Angel Li, EastWeek, Volume 214, October 3, 2007. Pages 62-66. 張愛玲在我家住過幾個月 冼麗婷, Apple Daily, October 8, 2007. L'Internet Chinois Dans Le Texte, Avec Traduction Et Notes Critiques. Entretien de Eric Sautedé. La revue Hermès, 55, 20 October 2009. 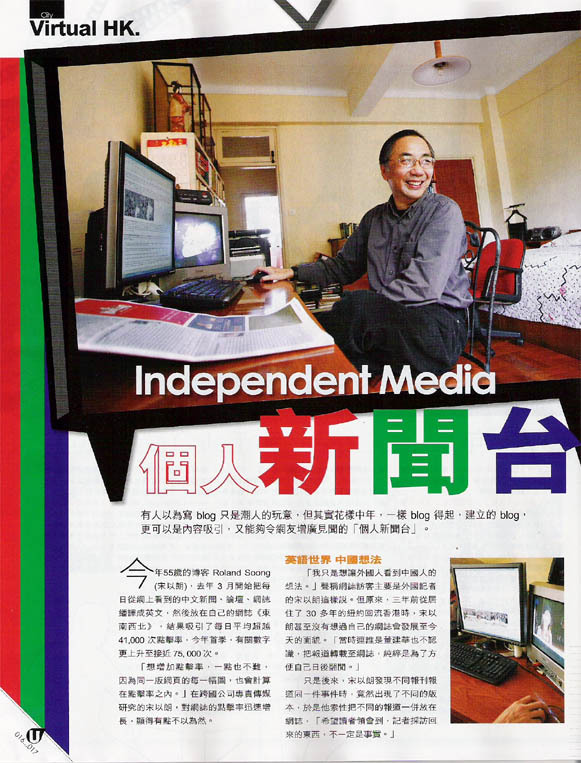 The eWorld Interview RTHK, October 14, 2006.